I just realized that one of my favorite old school D&D blogs has been silent for months. The last post is dated April 3, 2011. 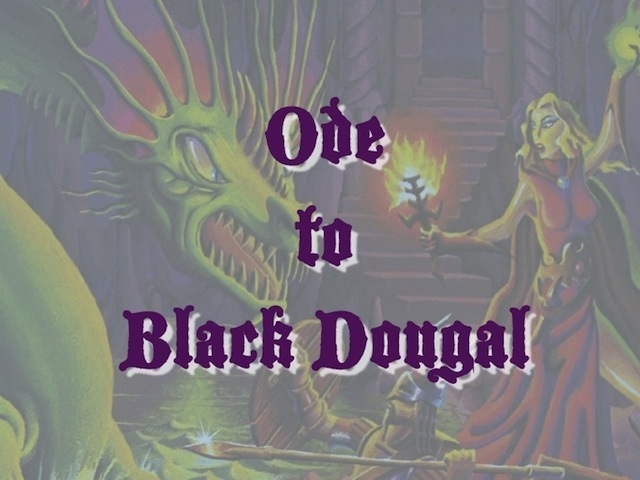 Reading Ode to Black Dougal really made me appreciate the Basic/Expert edition of D&D by Moldvay, Cook & Marsh. Let me link to his awesome series, B/X is my Favorite. Why B/X Is My Favorite #12 (no blog post) – it is unapologetically gameist in nature - doors in dungeons are stuck closed. You need to roll to force them open. Why? Because the rulebook says so and it is fun. Why B/X Is My Favorite #16 – the BEST morale system EVER!